Hello! I'm back with another Born Pretty Store review. 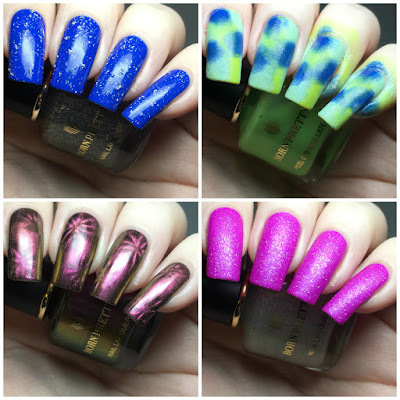 If you missed my last Born Pretty post (including five stamping plates and a sheet of nail stickers), you can find that here. Today I have a variety of things to show you, including liquid latex, polishes, and a nail art magnet wand. Read on to find out more! First up I have a glitter topper from the Black Datura series. 'Portrait of a Lady' is a clear base full of silver holographic shredded glitter. It applies easily, and has good coverage. You will need topcoat if you want to smooth it out. Below is one coat (without topcoat) over Jessica 'Blue'. Next, I opted for a bottle of liquid latex (item #42548, online here), as mine are all getting a bit old and thick. I chose the lime green one, as I do love a bright fun colour! It applies easily, has no funky smell at all (thank goodness), and peels off easily. I used it for a smoosh mani and you can see below how much it reduced my final clean up. Next up is a dual-ended magnet wand (item #43023, online here) for use with magnetic polishes. One end has a flower shape, and the other has a line of dots. I'm not massively into magnetic polishes, but the flower end of this really intruiged me. 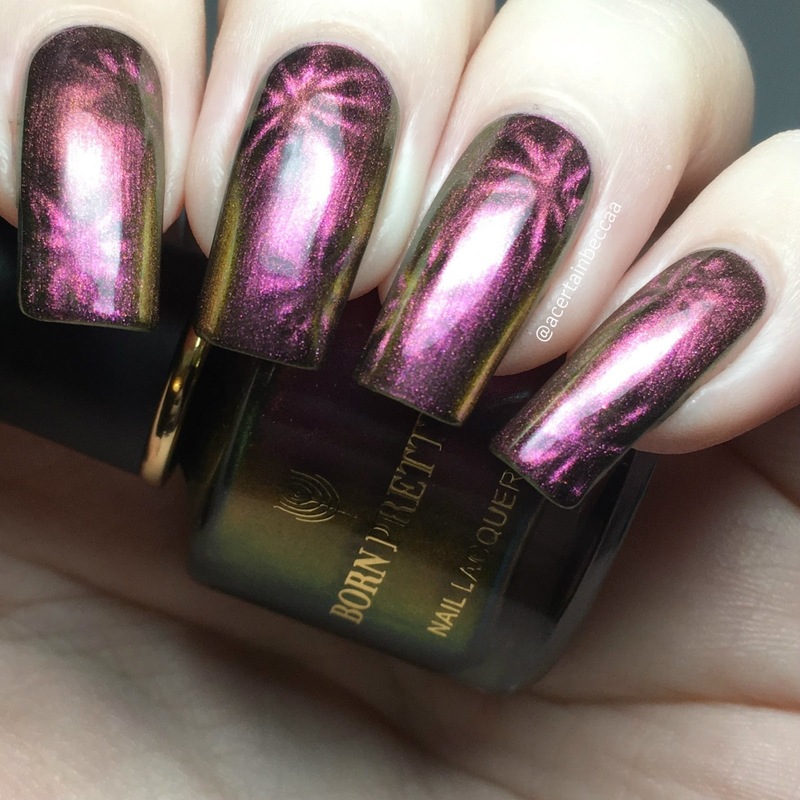 I used it with Born Pretty magnetic polish (item #42398, online here) in the shade 'Astral Realm', which has a purple to copper shifting magnetic shimmer. The listing does say that these polishes need a black base, although I found it built up perfectly fine on it's own in three coats. I used the flower end of the wand after each coat to achieve the effect below. 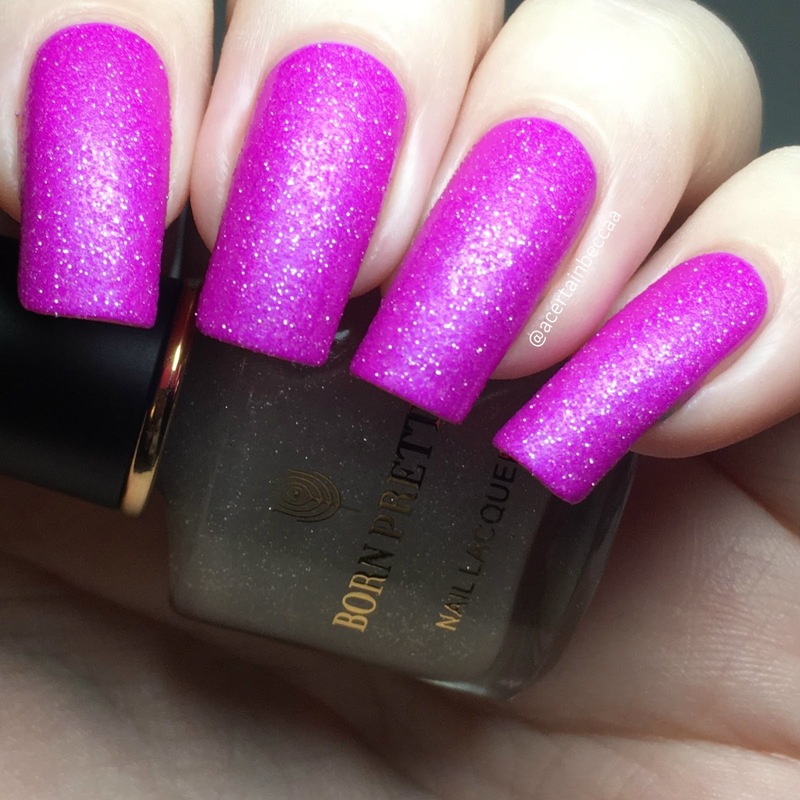 Finally, I have a bottle of crystal sand topcoat (item #43358, online here). I picked this hoping it would be a textured topcoat, as I can never get enough of textured polishes! I'm happy to report that that is basically what it is. 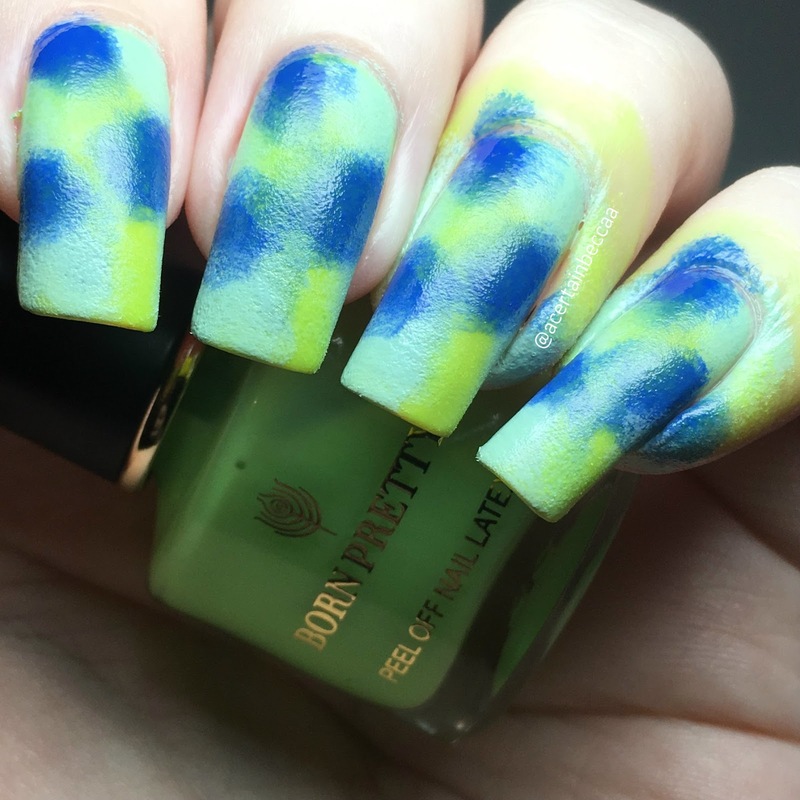 Below is one coat (without topcoat) over Color Club 'Right On'. What do you think? These are some of my favourite Born Pretty products this year! 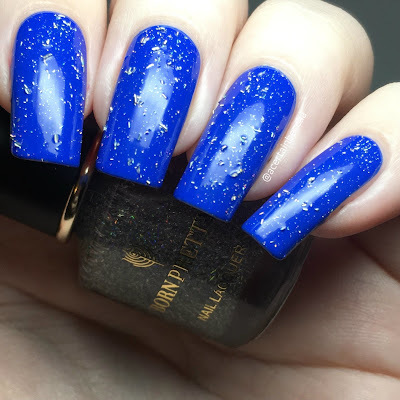 I love any type of shredded glitter topper, the flower magnet wand makes fabulous firework patterns, and the crystal sand topcoat is pretty much a dream come true for me. I didn't have a single with any of the items, so I can happily recommend them all.